This butterfly pop up is interesting in that the butterfly makes a 90 degree, counter-clockwise turn as the card opens. I don't love the cover. I'm not sure exactly what the problem is. I am open to suggestion on this one. 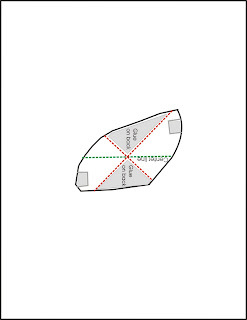 Print out 4 pattern pages. Printed size for each page is 8.5" x 11". Page 4 shows how the parts fit together in the construction. Cut out pop up mechanism (page 2). Mountain fold along green line. Valley fold along red lines. 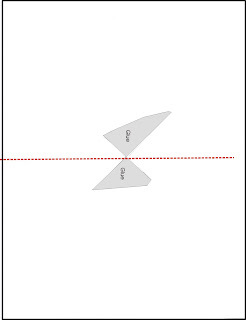 Fold card (page 1) in half along red line. Glue pop up mechanism to card as indicated. Let dry. 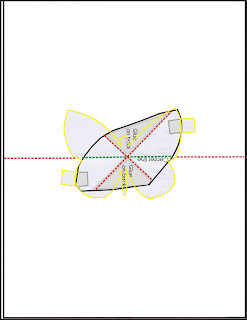 Cut out butterfly (page 3). Partially close card and glue butterfly tabs to pop up mechanism. Let dry. 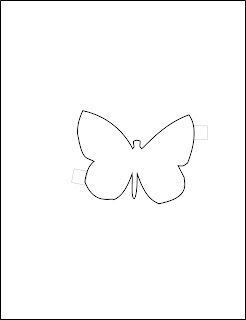 Close card, creating a fold in the butterfly where it "wants" to fold. This may not be exactly in the middle of the body. Trim wings a bit if they are bumping into the card as it closes. Trim card to desired finished size.